Why is Kiwi wine a step ahead? The right varieties in the right regions help New Zealand stay a step ahead. 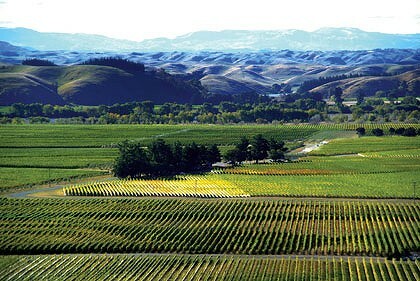 Competitive edge ... the evocatively named Gimblett Gravels are the source of much of New Zealand's great wine. Those pesky Kiwis have done it again. They have trounced us in the Tri Nations. Not at rugby but wine. It’s becoming a regular thing in the Tri Nations Wine Challenge. They were the most successful nation last year and this year. But what really hurts is they’ve won the coveted shiraz trophy three years out of the past four and last year South Africa won. This year, New Zealand won six trophies to Australia’s five (and South Africa’s two), along with seven double-gold medals to our six (and South Africa’s four), and tied with us for gold medals – 40 each – while South Africa won 25.